Too Loud to Sleep — Anyone Have Tinnitus Caused by TMJ? Discussion in 'Support' started by Leah, Nov 12, 2013. Having a spike with lots of hissing. Had a hearing test and the tones they played in my ears might have caused this spike. I have enough loss for hearing aid, have to do some research. Also have a dental appt to see if there is a TMJ issue. Anyone have TMJ caused T? Treatment that "might" help is so very expensive. I have TMJ, recently diagnosed, mostly affecting muscles more than articulation. And also I'm having tinnitus that seems related to trigger points in masticatory and neck muscles (I'm not sure if one of the sounds could be that or hearing loss related, though). I've got to eliminate one of the sounds by means of physical theraphy for back and neck, and trigger point therapy (self applied) for trigger points. The other seems to be at the very minimum influenced by the points, but it's related to zones with lots of muscle knots, and sure I'll need a splint and lots of treatment for that muscle in order to beat it. 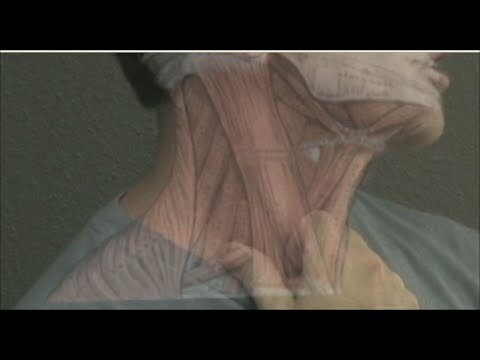 I suggest you to google all that you can about trigger points, myofascial pain, and how they relate to tinnitus, especially the TP's of the masseter, sternocleidomastoid, temporalis, lateral pterygoid, and even the trapezius (it absorbs tension when you clench your teeth at night). Several of these points can refer pain signals both to middle ear or inner ear, so they can create tinnitus that is either low or high pitched, or both kinds if you have different points in different muscles. There's a book called "Trigger point therapy workbook" by Clair Davies who teach you self massage techniques for this points. If you try this, be careful, the degree of pressure he advises is not always the best for everyone. Try to start softer and raise the pressure day by day. If trigger point therapy does something for your tinnitus (at least changing the sounds) try to get a few sessions with a proffesional so you can get the feeling of the theraphy and doing it later when you need it at home. You could go to a physical therapist or even better, an osteopath. I hope this has been of help, if you find that your tinnitus is related to these muscles and have more doubts, ask me, I've researched quite a bit about it. I had my TMJ successfully treated using TruDenta, but my T did not change in volume unfortunately. I still think there's a chance that my T was caused by TMJ, as my TMJ symptoms were at their peak when my T began. I've decided to go to a myofascial therapy practice in a couple weeks, and will let you know if there was any success with trying out myofascial trigger point release therapy. Because I currently don't have any jaw popping or discomfort I don't believe this therapy will make any difference, but figure it's worth a shot! I put a tube shaped pillow under my neck and lay on my back and try to go to sleep with my mouth open. Sometimes I wake up and my mouth is open and very dry and sometimes it's quiet in the morning. It's nice. I have minor TMJ with no pain, but a clicking jaw and a crackling in my right ear, which is also in the same ear as the majority of my tinnitus. Annoyingly I noticed both the tmj and the tinnitus right after a concert (annoyingly again, after my friend mentioned that such a condition existed on the way home from said concert), so I have no idea what actually causes the tinnitus. Pressing on my jaw and, to a lesser extent, grinding my teeth and even sometimes gulping increases the volume and pitch. I'm investing in splint therapy in a few months, so we'll see where that takes me. Obviously I'm hoping my tinnitus is tmj related. Have to tell you jeffoy i think this TMJ stuff is one big red herring and one big hit on your wallett. Seen so many TMJ specialists ,so many splints ,so much time and money,Realise you have to do it do for your own piece of mind though. Admittedly it looks that way, I do definitely have it, but at the same time it's a huge monetary gamble (it'll be over a £1000 total) for something that'll almost certainly cure my tmj but with a good chance that the tinnitus will stay intact. The internet statistics on correlation/successful treatment vary so much that they're essentially worthless! But yes, I'm doing it for peace of mind more than anything, I'd be absolutely over the moon if it goes well. While TMJ dysfunction can add to the tinnitus, it is not likely to be the only cause. Most people can change the volume of their tinnitus by opening their jaw or pushing their lower jaw forwards or moving their neck. This is called somatic tinnitus but it is typically not 'the ' cause. I think Tmj is a red herring for most. I saw a Taj specialist who made these crazy splints that almost destroyed my haw it took me 6 months to recover from the damage his splints causes in a few days of wearing them. Please avoid Taj specialusts. Mine started 4 days after a car accident. Not sure about the exact cause. I have very slight hearing loss in right ear. Keep your stress level liw. I had been under EXTREME stress for six months before I got t. I am convinced high stress is a catalyst in many if not most t cases. Elton John Concert — Too Loud? Trip to Las Vegas — Too Loud? Too Dangerous?